IMPORTANT: National Geographic Endeavour cruises must be reserved over the phone. Call us for more information. 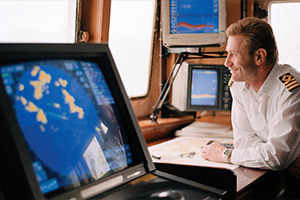 National Geographic Endeavour provides one of the best expedition experiences at sea. Traveling all over the globe from the Arctic in the north, Mediterranean, and even Antarctica in the south, there is sure to be an adventure for anyone when sailing with National Geographic Endeavour. Carrying barely over a hundred passengers, National Geographic Endeavour allows for guests to enjoy nature without all the hustle and bustle of larger cruise ships. Onboard every sailing are numerous National Geographic photographers and experts. These experts will always be around to offer expertise and information on the world surrounding your voyage. Expert photographers teach guests the best techniques and settings to capture the amazing wildlife shots seen every year in National Geographic Magazine. 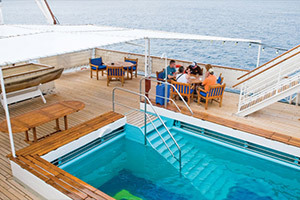 Onboard guests will enjoy all the benefits of Eco-friendly cruising. All meals onboard are prepared using local sustainable food ensuring that the environmental impact of every sailing is minimized. 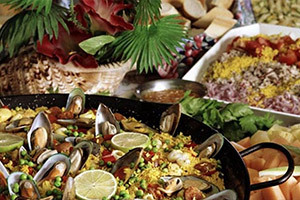 Chefs onboard National Geographic Endeavour are experts at using local ingredients to create some of the finest dishes guests will have ever tasted. Days onboard National Geographic Endeavour are full of excitement and adventure. Featuring both Zodiac boats and kayaks, guests have many aquatic options to explore the wilderness. National Geographic Endeavour's hull is extra thick allowing voyages to break ice in the frozen parts of the world and giving guests the opportunity to see Arctic wildlife like polar bears and penguins. All excursions and explorations on National Geographic Endeavour are included in the cruise price. That means guests get to spend more time experiencing and less time worrying. From wildlife viewings to visits with local peoples, all will be provided for you. . 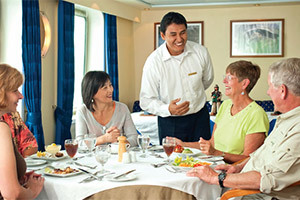 Huge Discounts & Low Price Guarantee on all National Geographic Endeavour Cruises! Book any National Geographic Endeavour cruise with us and you'll get the best deal possible, regardless of the ship or sail date! Because of our huge price discounts and "Low Price Guarantee," nobody beats our National Geographic Endeavour cruise prices, so look around and you're sure to find the best National Geographic Endeavour cruise deal possible when booking with us! We do not charge booking fees on any cruises! You're sure to enjoy an affordable National Geographic Endeavour cruise when booking with us! Our special offers on National Geographic Endeavour cruises may not be combinable. Certain restrictions apply to each offer. View terms and conditions during the online booking process. Two Suites on National Geographic Endeavour feature a sofa bed, large windows, and lounge chairs in a living area separate from the master bedroom. *1S and 2S staterooms are single occupancy. The deck plans of National Geographic Endeavour provided on this page are subject to change. We reserve the right to correct errors. 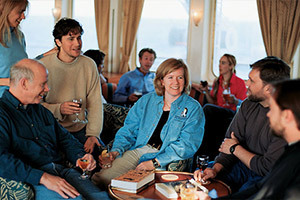 Please verify all information with Lindblad Expeditions directly.